Can you connect a receptacle from a light outlet, but keep the receptacle hot when the light switch is off? Here is a question from a visitor on this very topic. I have an existing light switch wired to one light. I want to add a plug continuing from the light, so how do I keep power going to plug when I turn the light off? The answer to this depends on how the existing circuit is wired. 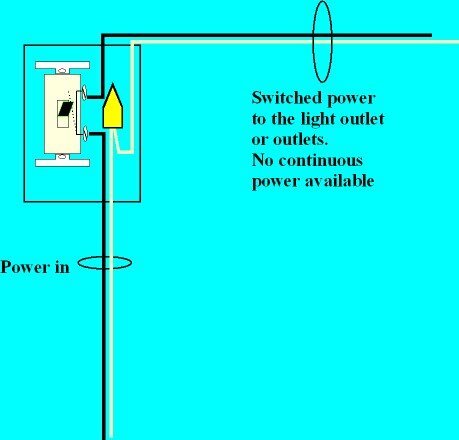 If the power comes to the light outlet first, and then goes to the switch, then this can be done fairly easily as long as the outlet is accessible, isn’t too full of wires already because the unswitched power is available as well as the switched wire that is connected to the light. The problem is when the power comes to the switch, and then from the switch to the light outlet (or lights), and only on a 2-wire cable. 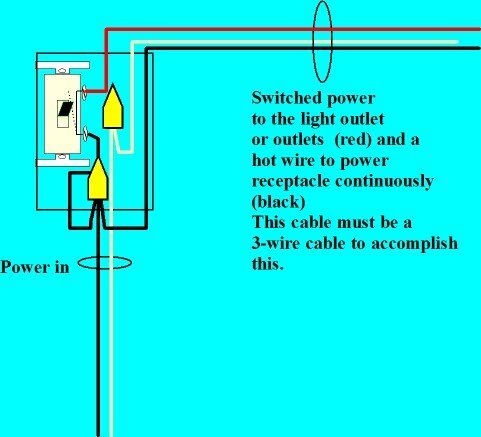 In this case, you must change the cable from the switch to the light outlet from a 2-wire to a 3-wire cable. As you can see, connecting a receptacle to the light would see the receptacle only hot when the light switch is on. Here is what you would have to do if possible, change out the 2-wire to 3-wire cable from switch to light. Again, no ground wires are shown in the diagrams just to avoid clutter so you can clearly see how the circuit works. Make sure you review this article to see how all the connections should be made, including ground wires. 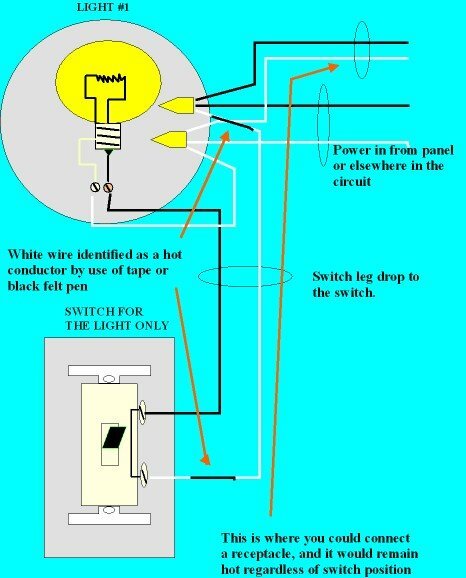 This entry was posted in Home Electrical How-To, Q & A and tagged 2-wire, 3-wire, hot outlet, hot receptacle, light, outlet, power, receptacle, switch, switch leg, wire a receptacle, wire a switch. Bookmark the permalink.